Yoyo Wallet is mobile payment, loyalty and rewards rolled into one: with every purchase you’ll receive points, stamps, and exclusive rewards. It’s free, fast, and easy to use - there’s a reason why Yoyo Wallet is Europe’s fastest-growing mobile payment app. With one scan of the app, you’ll pay, earn loyalty, and receive a digital receipt. Exchange your loyalty in-app for rewards of your choosing with minimal fuss and effort. Surprise your friends by sharing love and freebies with them. But if you don’t we won’t tell. No more paper receipts filling out your wallet - all your purchases and digital receipts are visible in your activity feed. Yoyo Wallet is one of the safest payment methods available today - we never hold on to your money or your payment details. Our QR code payment technology is randomised every few seconds to ensure that codes cannot be duplicated for fraudulent use. Set your passcode to ensure that you are the only one making payments from your account. Our lead iOS engineer just got married, which means the mobile team have flown off to Portugal to meet the newlyweds and join the celebrations alongside the Atlantic Ocean. What does it mean for you? In short, we won’t be deploying any major features in this release. Any questions, ideas or feedback? 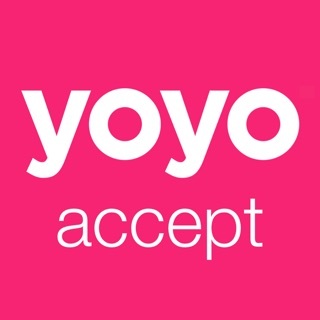 Tap on Contact Support directly from the app, or send your thoughts to support@yoyowallet.com. Money Saver Must-Have. Misleading Advertising. I love this app to help me save a bit of money at uni. During my days at uni I don’t get the opportunity to run home for something to eat and during winter I’d much rather have a hot meal than bring a sandwich with me. This app makes sure that even on days where I’m short on cash I can still manage to eat something substantial which makes it easier to concentrate in lectures. I was disappointed for the first time yesterday though as I had seen a few promotions saying I would receive double points due to it being cyber Monday. I ordered extra food so that I could save all my points up for a rainy day yet despite all the advertisements I only received the standard amount of points. I just felt mislead by this and ruined my opinion of an otherwise brilliant app. I love how quickly you can pay with this app. The transactions go through faster than any other I’ve used, after you’ve authenticated with your fingerprint to open the app, you just need to scan it at the register so you don’t have to worry about that awkward moment when your phone doesn’t recognise your thumbprint at the cash register. Although they don’t have many local retailers available yet, the ones it does have are able to customise their rewards in a way that makes it very easy for customers to see what they can ‘buy’ with points. This is the best reward app I’ve seen from a consumer perspective. It’s very easy to scroll through retailers you have personally used and check out which other local retailers also use it. I really hope this can take off and would love to see it used by more stores. Yo-yo is a great app but still missing Apple Pay support. You mentioned in response to another review that as you don’t know the amount until the voucher is scanned you can’t use Apple Pay. This isn’t true as apps like Uber can use Apple Pay when the final ride amount isn’t known. This is explained in more detail in some of the videos on Apples developer site, but Apple Pay can be used for payment authentication with the final payment being decided after checkout.